I saw an interview a couple of years ago in which a reporter asked outspoken English atheist Stephen Fry what he would say if it was “all true” and when he died he was “confronted by God”. I’ve heard similar statements from other atheists, angrily blasting God for his mis-deeds. Many atheists are apparently very angry at God. They hate God. But … they tell us that they don’t believe that God even exists. They say that God is a “fictional character”. So how can they be angry at him? I can comprehend them being angry at Christians for spreading ideas about God that the atheist strongly disagrees with. But Mr Fry’s anger here is not against Christians talking about God. It is against God himself. If someone asked me what I would say if I met Darth Vader, I can’t imagine that I would get all angry and emotional and say, “Torturing your own daughter? How dare you? How dare you create a Galactic Empire in which there is such misery. It’s utterly, uterly evil!” and so on. I don’t walk around every day seething with anger at Darth Vader or Lord Voldemort or The Joker. I don’t “hate” any of these characters. Because they are characters and not actual people. I don’t see how you could hate a fictional character unless you are mentally ill, delusional. 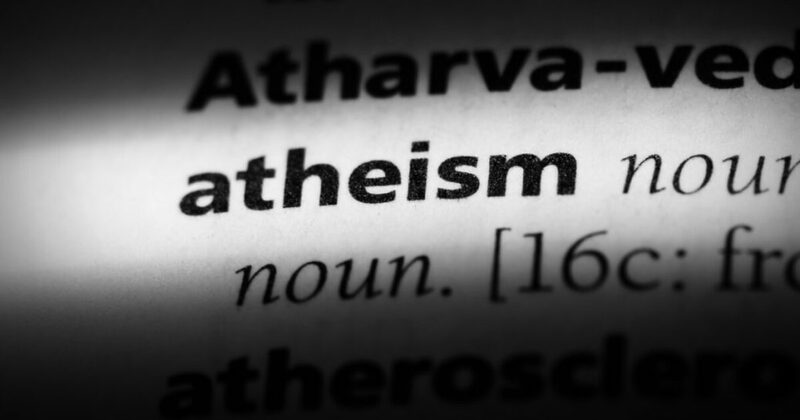 Do atheists really believe that God does not exist? Or are they convinced that he does exist and they hate him? David Brooks, CommentatorThe Three-Headed Sky God?